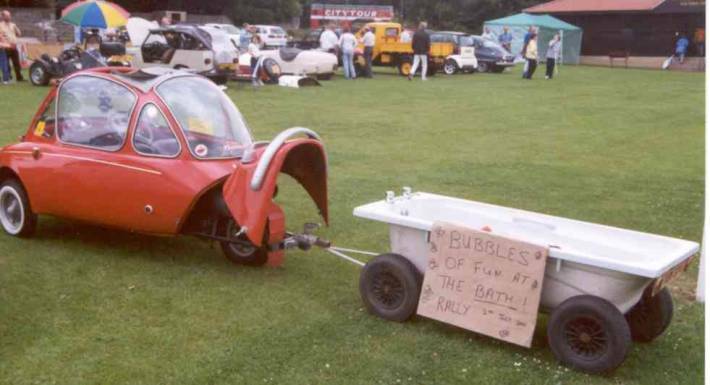 The Club aims to support its members in their ownership of, and enthusiasm for, Heinkel Trojan ‘Bubblecars’ and Heinkel scooters. This is done by providing information on their history, maintenance and renovation in the quarterly Cruiser News Review, the ‘Members’ Handbook and on this Web Site. The Club also aims to ensure that owners can keep their vehicles roadworthy by providing a spares service. The spares service’s primary aim is to provide all spares necessary to enable vehicles to be repaired to a standard that meets the UK’s annual road-worthiness test (MOT). Some trim and body parts are also available and more are being researched, sourced and manufactured all the time. The spares are either; old stock which has been purchased from ex-dealers; items the Club has had re-manufactured; modern parts which can be substituted for those no longer available; parts available from the continent; parts which are available but can be only be bought in large quantities or second-hand spares donated to the Club. 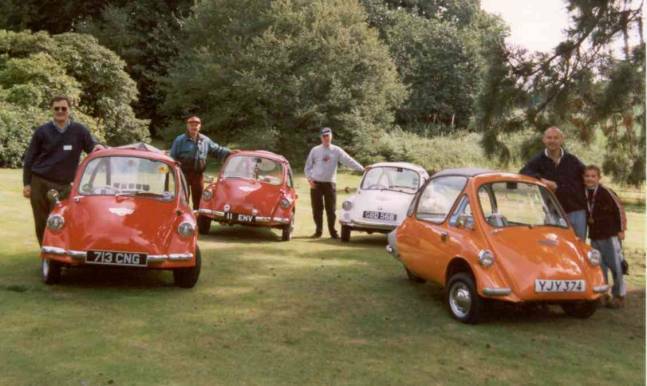 The Club is represented at many of the micro car rallies in the UK and holds its own event on an annual basis. 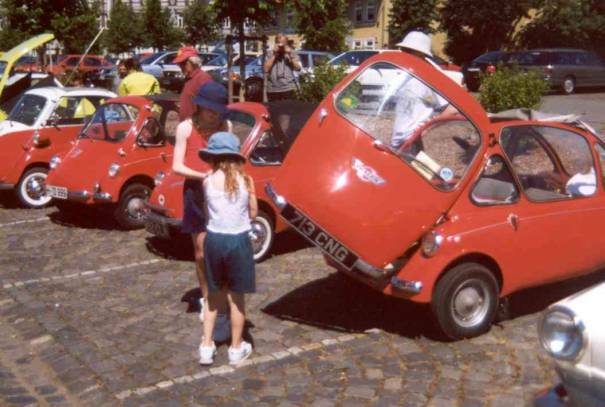 It is also represented by members at European micro car rallies as and when possible. 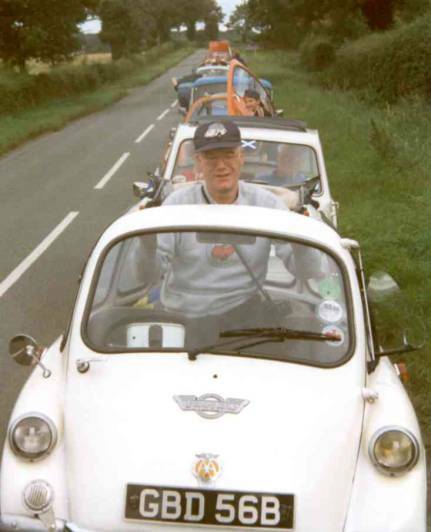 On the 11th November 1979 four enthusiastic Heinkel Trojan Owners met and agreed to form the Heinkel Trojan Owners & Enthusiasts Club. Cruiser News was soon established as the Club’s regular bi-monthly publication. Membership grew steadily in the early years and averaged 260 to 280 in the late 1990s. 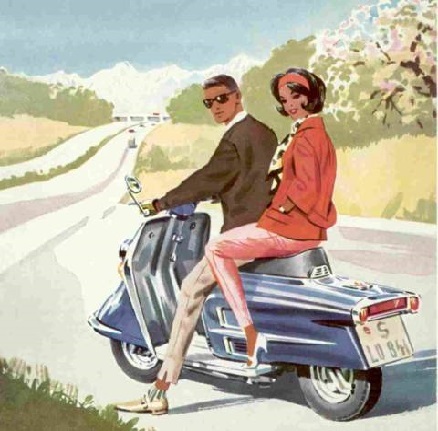 In the early years the Club was active in purchasing old stock from ex-dealers to help members keep their cars and scooters reliable. Re-manufacturing of many parts has been carried out over the years that have enabled many ‘basket cases’ to be restored to a very high standard. 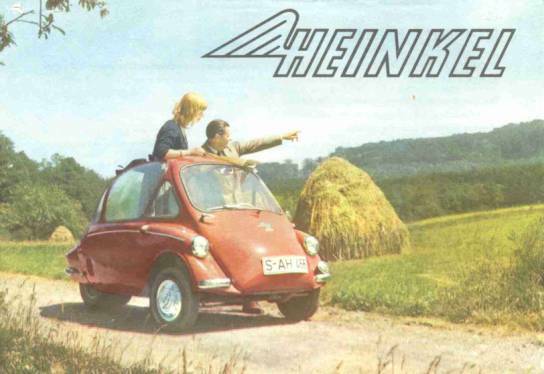 The Heinkel Trojan Club Limited came into being on 1st April 1995 as a direct successor to the HTOEC to avoid any possible product or public liability claims against members. In October 2000 disaster struck when the new spares store was flooded and again in November 2001 when membership details were lost due to a computer failure. The Club is now back in business with a new team of directors and committee members who were appointed at the Annual General Meeting in December 2001. 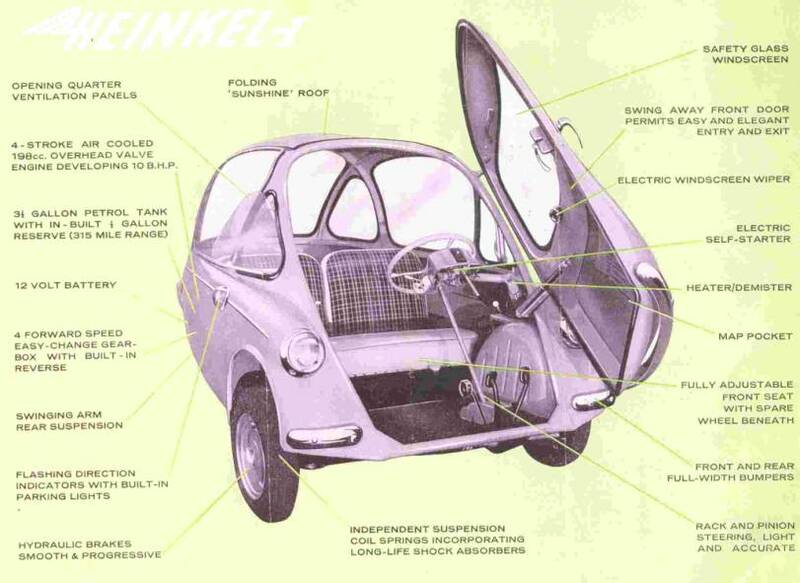 The Club is thought to be the only one in the world that is primarily aimed at the Heinkel/Trojan Bubble car. 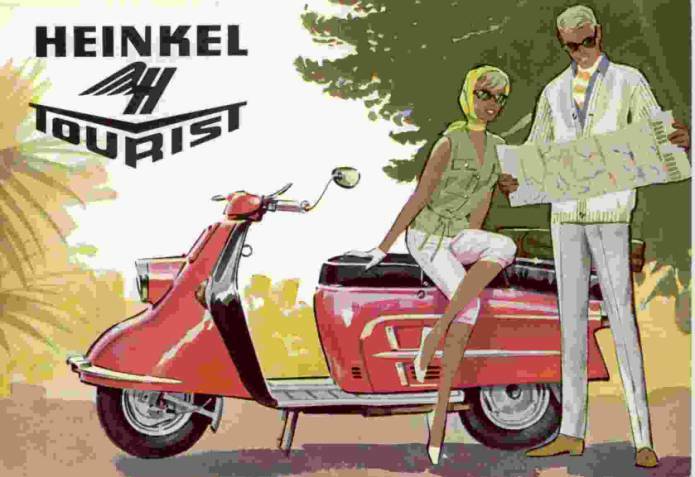 The Heinkel Trojan Club is incorporated in England as a company limited by guarantee. In the event of the Club becoming insolvent each member can be required to contribute up to £1 (Sterling) to discharge the Club’s debts. The object of the Club and its management are defined in its Memorandum and Articles of Association, copies of which are available from Companies House on payment of the prescribed fee or from the Company Secretary on pre-payment of £2.50 to cover cost of copying and UK postage. Overseas postage will be at cost. The Club is run by the Board of Directors. The directors are elected by the membership and may serve for a maximum period of three years before being re-elected. The Directors are assisted in the running of the Club by an Executive Committee of Club members co-opted by the directors. All directors and committee members give their time for free, none, including the spares custodians, receive any fees or commissions. The Club aims to reimburse expenses of committee members so that it does not cost them to help run the Club. The Board of Directors is empowered to prescribe Bye-Laws for the management of the Club, these are subservient to the Memorandum and Articles of the Association and company law should there be a conflict. The Board of Directors is empowered to prescribe Bye-Laws for the management of the Club, these are subservient to the Memorandum and Articles of the Association and company law should there be a conflict. 1. The Board of Directors shall determine classes of membership, subscription rates and joining fees. 2. The membership year is from 1st April to the following 31st March. 3. Application for Membership is to be made in the prescribed manner and is subject to approval by the Board of Directors. 4. Membership can be resigned at any time by notice in writing to the Company Secretary at the registered office or by default by non-renewal at expiry of membership year. 5. The Board of Directors may expel any member, family member or associate member whom they consider to have brought the Club into disrepute. 6. Family membership - Members are permitted to nominate additional people in their family as “Family Members” at no additional cost. “Family Members” are entitled to use the facilities of the Club in the name of the Member but are not entitled to additional votes at Club Meetings. “Family Members” over the age of 18 years may, on payment of an additional subscription, become “Associate Members” who are entitled to vote at Club Meetings. 7. A resolution to remove a Director must be signed by ten (10) Members and delivered to the Company Secretary at the Registered Office. An Extraordinary General Meeting will then be convened to vote on the resolution. 9. The Board of Directors shall appoint a person to act as “Club Chairperson". 10. The Board of Directors can co-opt up to ten (10) Members to form an 'Executive Committee' who are to advise and assist the directors in running the Club. 11. At least twenty one days before the Annual General Meeting the Board of Directors will report to the membership on the achievements of the previous year and outline their plans for the forth coming year. 12. The Club may only supply spares and merchandise to Members. 14. The Club is unable to obtain product liability insurance for spare parts supplied to members in North America. Parts will only be supplied to North American members on condition that they are for ‘display purposes only’. 15. All Members are entitled to appoint a proxy to speak and vote on their behalf at all general meetings of the Club. 16. A quorum at any general meeting is two Members. 17. A proposal to dispose of funds or physical assets of the Club (e.g. Spares, Regalia or equipment) for significantly less than their market value, which does not have the approval of the Board of Directors, requires a majority EXCEEDING 25% of the membership at the time of the vote. 18. The Club is governed by English Law. All members consent to the jurisdiction of the English Courts in all matters. 19. The Club, it’s Directors and Executive Committee members do not accept any responsibility for any loss or injury howsoever caused.